Will your favorites bloom in season on your big day? There are so many things items that factor into the overall cost of a wedding day, and one of the more pricey areas is your wedding flowers. Tons of fresh flowers can cost you a pretty penny, and the expense is tough to justify because they really only last one day! 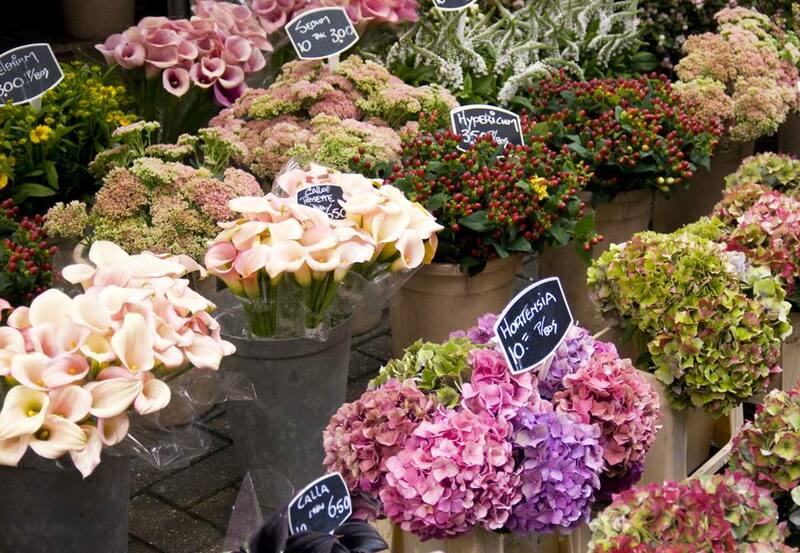 Luckily, there are several ways to reduce your floral spend, and one of the best ways to cut costs is to choose in-season flowers. Picking wedding flowers in season can save you a bunch of money because they are more easily sourced. Sure, growers are now able to fly almost anything in from the other side of the world, but you'll pay a premium for that service and transport. Here is a US guide to what flowers are generally in season during certain months to help you get started. You'll want to confirm availability with your florist or grower to get the best answer as to what is available (and affordable) during your wedding month! If you're a flower fanatic, this chart can also help you decide when to get married! If you want huge amounts of different pink flowers, you'll notice that fall might not be the best time for you to get married. On the other hand, if you adore zinnias and dahlias, perhaps you should plan a fall wedding to take advantage of those blooms' peak seasons. Be sure to scroll down and see wedding flowers that are available year-round.